12 Cute Boots for Teen Girls! 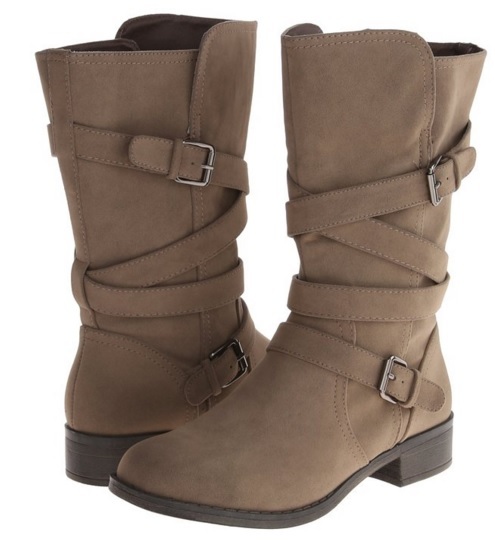 12 Cute, Fun and Fashion Boots for Teenage Girls! They are fun, practical and fashion! 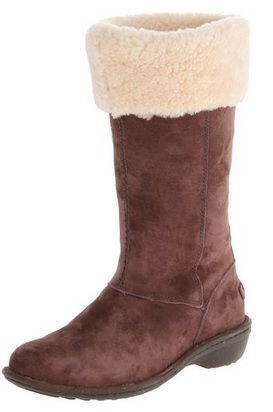 They usually go well with almost any outfit and they are perfect for winter or rainy days too! But which are the best boots for teenage girls to wear? Some teens like them knee-high length and others ankle high…. Their boots also need to be extremely comfortable! And cool looking, of course! *Teenage girls also LOVE wearing combat boots! They are edgy and pretty cool to wear anywhere! These are fun and comfy and also available in six cool colors and designs! I selected here a few of the cutest boots for teen girls being sold right now! I hope you’ll like them too! Cute White Floral Leather Lace Up Boots for Teens! 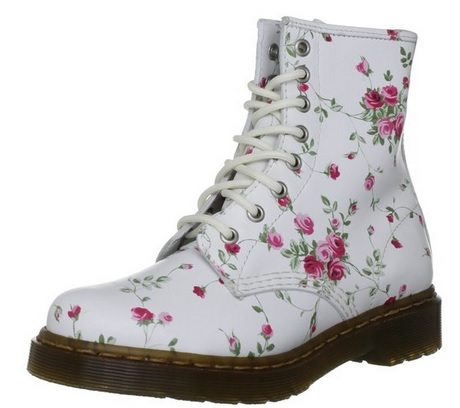 This is a very cute and very fashion pair of Dr. Martens white floral leather combat style lace up boots for teenage girls! They are very unique and they definitely stand out! Perfect for wear with a nice pair of jeans or shorts! Cherry Red Vintage Style Floral Boots! Cutest Boots for Teenage Girls! I had to show these gorgeous Dr. Martens floral cherry red boots for teen girls! The leather is nice and soft and the floral pattern is absolutely gorgeous! They are also very sturdy and will last for a very long time! Fashion Casual Harness Boots for Teens! 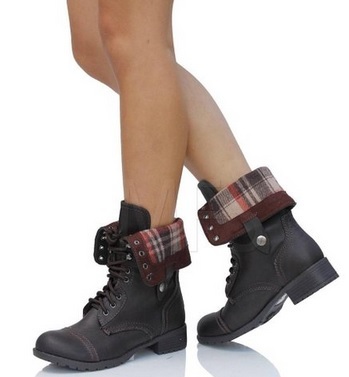 These are very cool and very fashion ‘motorcycle style’ harness boots for teenage girls! I love this design and overall looks! Very comfy and very cute! 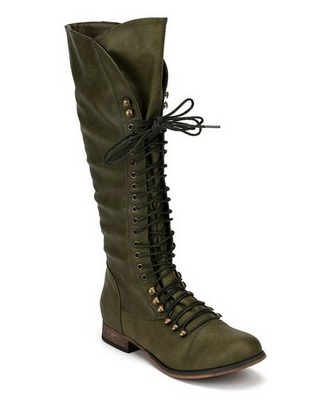 Beautiful Military Style Lace-up Boots for Teenage Girls! 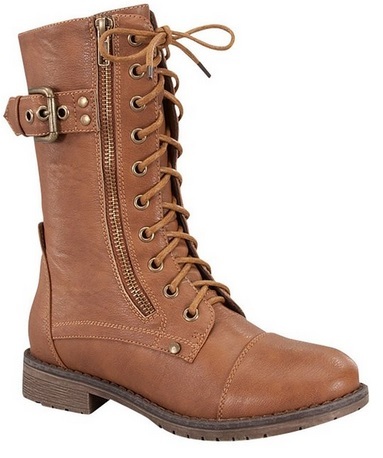 These have almost 1,000 reviews and are among the most bought kind of boots for teen girls! They are very comfortable and very easy to put on, since they also zip up on the sides! Great gift idea for your teen girl or granddaughter! 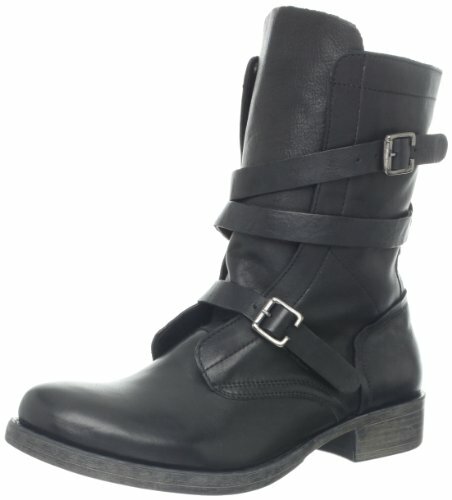 This is a gorgeous and fun pair of high-quality black leather short combat boots for teen girls! Looks great with any outfit! 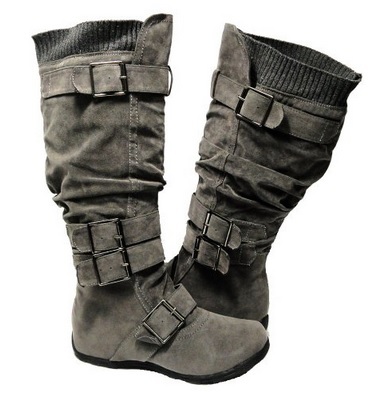 This is a very cool, very affordable and great looking pair of knee-high gray boots for teen girls with multiple ankle straps! They fit incredible well too and are very comfortable! They also fit girls that have thicker and muscular calves! Very stylish and I absolutely love the color! 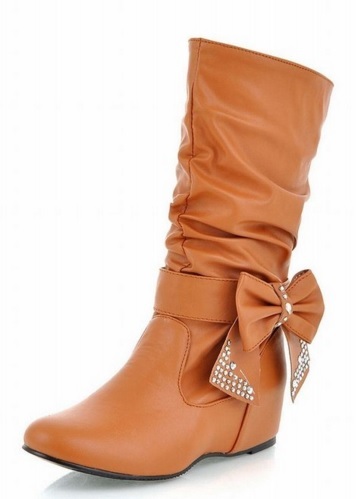 Cute and Girly Flat Boots for Teens with Cute Bow Design! I love the cute bow on the side! Teens also love to wear cute UGG boots! I love this espresso color! Very Cute and Stylish UGG Black Boots! UGG boots are among the warmest winter boots ever created and these are the cutest black UGG boots around! They are also ultra-comfortable and will last forever! These are very cool and perfect for teen girls who have skinny legs and like to wear skinny jeans! I love this awesome military green color! The laces are also nice and big! 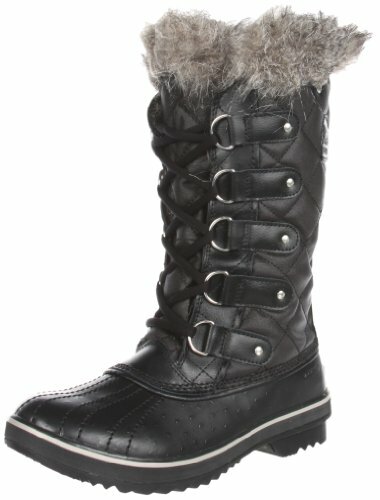 Very Warm Weatherproof Leather Winter Boots for Teen Girls! I love this awesome design and the faux fur lining! You can get it in 5 cool colors! Cute Backpacks for Teen Girls! Cute Jackets for Teen Girls! Cute Hoodies for Teen Girls!